Yahweh, in whose hand the sons of Jacob were delivered from the mighty hand of Pharaoh, often reminded the people of Israel the need for them to look on His Mighty Power displayed and shun the threats ahead. When it was obvious that the people were shaking before their various challenges, Hashem will always remind them of the raw display of His Might against those enemies of their yesterdays. “I am the Lord your God who brought you out of Egypt. Out of the land of slavery." Elohim often reminds humanity of what He has done for His people, so that His people would not allow their present nor future threat overwhelm them. 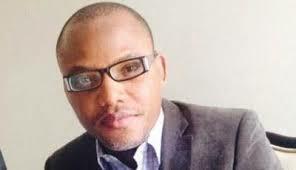 The sons of Eri [the Biafrans] are not left in this promises. Often times, many of us quickly forget where Elohim picked us up from; different valleys of death He has taken us through and where we are today. To me, the battle is coming to an end and Biafran people are on the verge of entering Canaan land. For retrospect purposes, we should not forget the era of the pro-Islamic international system. When Obama and David Cameron were obviously supporting the annihilation of Biafran people. When no media was talking of our plights, and all permutations were anti-Biafra. Within that period, we were killed and maimed, Obama and co suppressed and stood against the reportage. At that time, the Lord blessed us with resolute and formidable spirit. We refused to yield to the demand and the desires of our oppressors. It was in the midst of all these vicious circle conspiracies that Mazi Nnamdi Kanu was kidnapped by the DSS. His arrest led many to doubt his survival. Even Buhari boastfully stated on a national broadcast that Nnamdi Kanu will rot in jail. Mazi Nnamdi Kanu after remembering the promises of Elohim to him told Buhari that “you are mad, you cannot jail me”. That got Buhari and his handlers annoyed and they decided to murder the innocent. It was on the eve of their planning that the angel of death eliminated Buhari! Praise be to Chiukwu Okike Abiama! Today Mazi Nnamdi Kanu is out and busy cementing agreement for our own benefit. While the oppressor is nowhere to be found. Those Nigerian politicians of Biafran extraction are still wondering at the hand that preserved Mazi Nnamdi Kanu from the evil plans of Dictator Muhammadu Buhari. Today, many of them are acknowledging the power of righteousness and that of the supreme Chiukwu Okike Abiama. Where we are today is no match with our yesterday’s turbulences. Buhari is gone, David Cameron is gone, and Obama is also gone. God dealt with the foundations so that the roofs will be helpless. The roofs are the Army, DSS, Police and others. No more boasting of “crushing”, “Operation Crocodile Smiles” and “Operation Python Dance”. “This is the Lord’s doing, it is marvelous in our eyes” Psalm 118: 23. Behold our freedom is here! The mountains have been made plain and Elohim has exalted his own. While Mazi Nnamdi Kanu is busy finalizing the last stage of the exodus, we must understand that the little barricade of Jericho is no match to our Chiukwu Okike Abiama. He who put Buhari in “vegetable state” would exceedingly handle the little remnants of the agents of darkness.